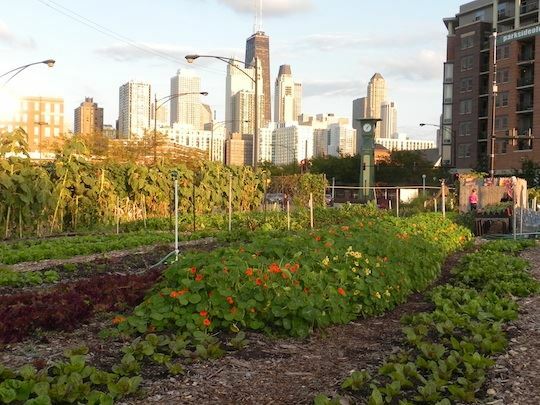 The USGBC-Illinois Emerging Professionals invite you to help prepare the City Farm for it's summer growing season! Join us for some volunteering and conversation about the local food movement and community dining in Chicago. Paul Sippil is the founder of the new, Chicago-based Farm-to-Table Community Dining and Wellness Group, which seeks to bring communities together and stimulate discussion of healthier eating through Good Food on social media and at special dinners featuring farm-to-table ingredients. At 11:00 AM we will hear from and have a discussion with Guest Speaker Paul Sippil, followed by helping with volunteer tasks below! Make sure to dress appropriately for the weather (sunscreen, hat, etc). Wear close-toed shoes and comfortable cloths for outdoor activities. Bring a water bottle. Gardening gloves and all tools will be provided. Weather: We will post on Facebook if there are any concerns with weather the day of. Please contact Andy Stein or 414-788-3683 with any questions.